The clear waters of Sugar Lake are surrounded by scenic forested hillsides of both evergreen and deciduous trees. The deciduous trees often produce a colourful display during the fall months. Scenery along the shores of Sugar Lake, Okanagan, British Columbia, Canada. 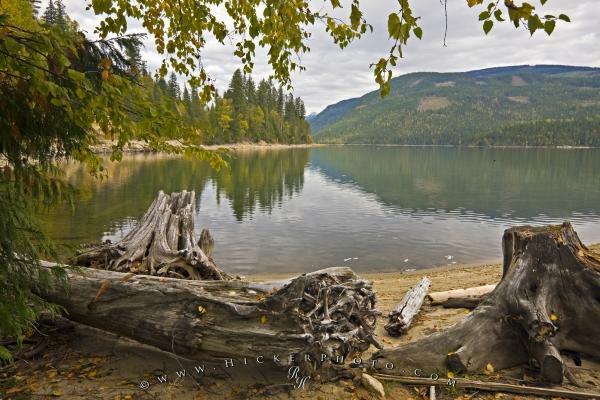 Photo of scenic Sugar Lake in the Okanagan, British Columbia, Canada.